You have doughnuts, apple pie and rap music, but when it comes to all things American, you also have basketball. NBA Slam, the newest show to premiere this week, hopes to enthrall Indian NBA fans with its quirky videos, player interactions and NBA factsa��all delivered in a witty manner by VJ Rannvijay Singha. a�?Basketball is not a sport, ita��s a complete lifestyle that a lot of us sports fans are missing out on,a�? begins Singha, who offers actual know-how of the sport, as he was part of Indiaa��s U-19 basketball team. 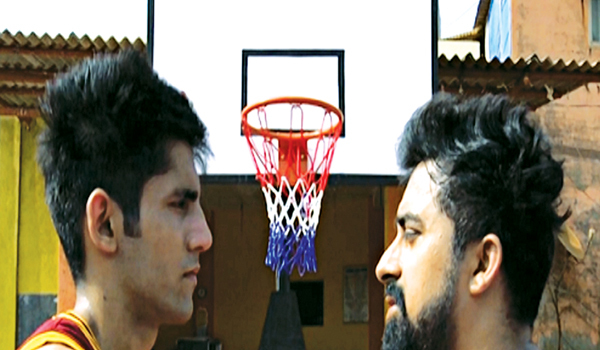 Expect an episode where the VJ will take on another star, MTV Roadies fame Varun Sood, for a friendly basketball game recreating the LeBron James vs Stephen Curry match. Seth Curry, an NBA player and Stephena��s younger brother, will join Singha in another episode. The 15-part series will also feature the current seasona��s basketball discussions, court rivalries and lifestyle. Shot in a makeshift basketball court created overlooking the Bandra-Worli Sea Link, it will feature Singhaa��s basketball skills, too. a�?Ita��s a myth that basketball is for tall people. There are lots of skilled players who are just five feet and five inches talla��so nothing should stop us from slam dunking,a�? adds the host, who has just finished filming a trek that he was part of, across the Siachen Glacier, and a motorcycle road trip with his fathera��both of which will be telecast this month.